The MVE executes on a single hardware server and it works as IaaS like Hyper-V. The setup does not use clustering and is a diskless boot. It’s a cloud running on one server and can spawn virtual machine and has a set of container templates. The solution prefers gigabit or faster networks. Since these containers utilise namespaces, a low configuration CPU is required for functionality. The hosts run containers using networks running layer 2 or layer 3 interfaces. 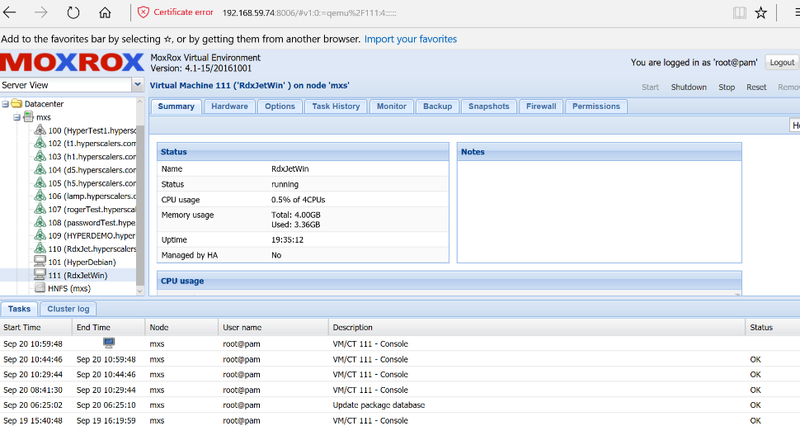 The containers currently use NFSv3 as its file io backend. These containers utilise a loop device as their disk, which results in very high performance. Container features include; dynamic resize, snapshots and live backups. The MVE runs on the Quanta STRATOS S100-X1S1N server. It is a one-socket 1U server tailored for applications requiring large local storage in space-constrained datacenters. It supports up to twelve drive bays in a compact 22.5" deep 1U chassis. The MVE is installed on STRATOS server. It has onboard SSD; on which the MoxRox software is installed. After installation; it provides a management IP which runs the user interface for creating and configuring VMs and containers. The installation uses NAS over 1G as storage partition for any VM running on the MVE platform. 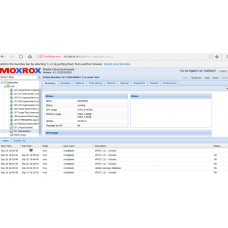 Request the Complete "HyperScalers MVE (MOXROX Virtual Engine) IaaS appliance"